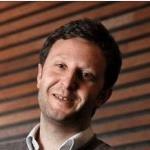 Antonio is a senior lecturer in Development Economics at The University of Manchester and a researcher with ESID. His research interests are state capacity, governance and inequality. Within ESID his focus is on measuring state capacity and on governance as a global development goal. Masi, T., Savoia, A. and Sen, K. (2018). ‘Is there a fiscal resource curse? Resource rents, fiscal capacity and political institutions‘. ESID Working Paper No. 96. Manchester. Asadullah, N. M. and Savoia, A. (2017). ‘Poverty reduction during 1990-2013: Did Millennium Development Goals adoption and state capacity matter?‘ ESID Working Paper No. 93. Manchester. Ricciuti, R., Savoia, A., and Sen, K. (2016). ‘How do political institutions affect fiscal capacity? Explaining taxation in developing economies‘. ESID Working Paper No. 59. Manchester. Hulme D., Savoia A. and Sen, K. (2014). ‘Governance as a Global Development Goal? Setting, measurement and monitoring the Post-2015 Development Agenda‘. ESID Working Paper No. 32. Manchester, UK. Savoia, A. and Sen, K. (2012). ‘Measurement and evolution of state capacity: exploring a lesser known aspect of state governance‘. ESID Working Paper No. 10. Manchester, UK. Ricciuti, R., Savoia, A. and Sen, K. (2019). ‘How do political institutions affect fiscal capacity? Explaining taxation in developing economies‘. Journal of Institutional Economics 15(2): 351-380. Savoia, A. and Sen, K. (2015). ‘Measurement, Evolution, Determinants and Consequences of State Capacity: A Review of recent Research. Journal of Economic Surveys 29(3): 441-458. Amendola, A., Easaw, J. and Savoia, A. (2013). ‘Inequality in developing economies: The role of institutional development.‘ Public Choice 155(1-2): 43-60. Savoia, A., Easaw, J. and McKay, A. (2010). ‘Inequality, democracy, and institutions: A critical review of recent research.‘ World Development 38(2): 142-154. View Dr Antonio Savoia’s staff profile.